Rami Malek has been lauded for his dazzling portrayal of Freddie Mercury in Bohemian Rhapsody, but in case you don’t already know, that wasn’t the actor singing in the movie. So what is the point of this soundtrack? Fans of British rock Queen may already have owned countless of their albums – is there a need to add this to the collection? The movie soundtrack is essentially a compilation of original versions of Queen’s greatest hits. There are 11 previously unreleased recordings, including five tracks from their 21 minute Live Aid performance in July 1985 (as amazingly portrayed in the film). Never released on audio format before, the group’s live performance is the main reason why you should get this soundtrack. 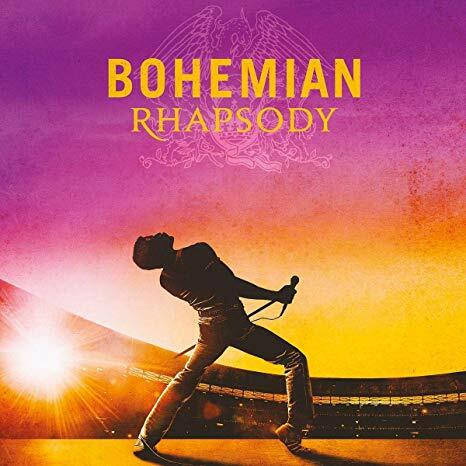 Kicking off with a very apt take on the "20th Century Fox Fanfare" arranged by Queen’s lead guitarist Brian May, the album follows with familiar tunes like “Somebody to Love” (from the 1976 album “A Day at the Races”), “Crazy Little Thing Called Love” (from the 1980 album “The Game”) and “Who Wants to Live Forever” (from the 1986 album “A Kind of Magic”). There are also live recordings of favourites like “Fat Bottomed Girls”, “Now I’m Here” and “Love of My Life”. The highlight of the album is undoubtedly tracks 16 to 20. You will wish you were at the Live Aid performance to hear Mercury belt out “Bohemian Rhapsody” with May on the guitar, Roger Taylor on the drums and John Deacon on the bass guitar. You will wish you were at London’s Wembley Stadium echoing “Ay Oh”, and feeling the triumphs of the human spirit as the set closes with “We Are The Champions”. If you were part of this historic moment, you would agree that with a 2005 industry poll that voted it as the greatest live performance in the history of rock. If you weren’t part of the 72,000 strong crowd during the momentous performance, the alternative is to blast this segment of the soundtrack through your home entertainment system. For the record, it worked damn well for us.